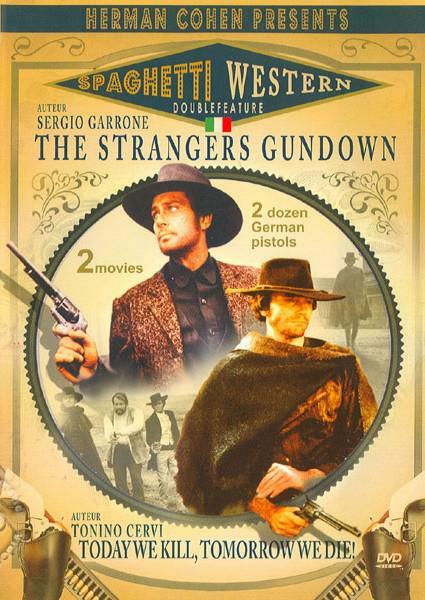 With its horror-movie styling and ultra-violent nature, this perfect example of a Euro gothic western garnered an "X" rating on its initial Italian release. During the Civil War, three Confederate officers, leaders of a Confederate regiment, sell out to the Yankees, kill the sentries and allow the enemy troops to slaughter their whole company. One of their men, however, does not die... Left for dead, the Stranger (Anthony Steffen, Italy's answer to Clint Eastwood!) lies unconscious on the ground, severely wounded. Several years go by and, as though coming back from hell, the Stranger begins hunting down his enemies - the men that left him for dead. Is he a ghost, or just a man - hell-bent on revenge!